We are either influenced by, or influencing one, or all of the three life zones. Life zones that are segmented as our past, our present and our future. They are not stagnant or fixed in time but are entwined in all parts of our life. We give a lot of power to our past, spend a lot of our thinking in the past and how what is past influences the now and the future. Be more aware, get to know how this is hindering or enhancing your life, influence how you see your past and use it in your favour. I focus a lot on creating my future, the goal setting, mind bending play to see me lift my game. Well, the reason I title my blog..Unlock Your Best Future...is all about creating and influencing how you live and enjoying the most and I focus a lot on research, experiment, test, learn... all I can to make the most of this life. The warning on the label though is too much dreaming, too much thought in the future and you forget where you are right now. You can create your future and still squeeze every beautiful, brilliant moment from this moment, not tomorrow's moments. Do you store the memories that continue to give you anguish? Past events, catastrophes, turmoil, those wrong turns can have a grip on you and while they torment, you won't let go. How you make your choices now, how you live your life now, how you see your future can be stored and retrieved from past memories, influencing your thoughts, words and actions. We can give the past all the power and continue to give the past that power over the rest of our life. Who's victory is it anyway? It does not make sense. It is your story, so as the hero, do you get stuck or do you take what happened and look at it in a new light. Stronger, wiser, caring, smarter, scarred but now a warrior. 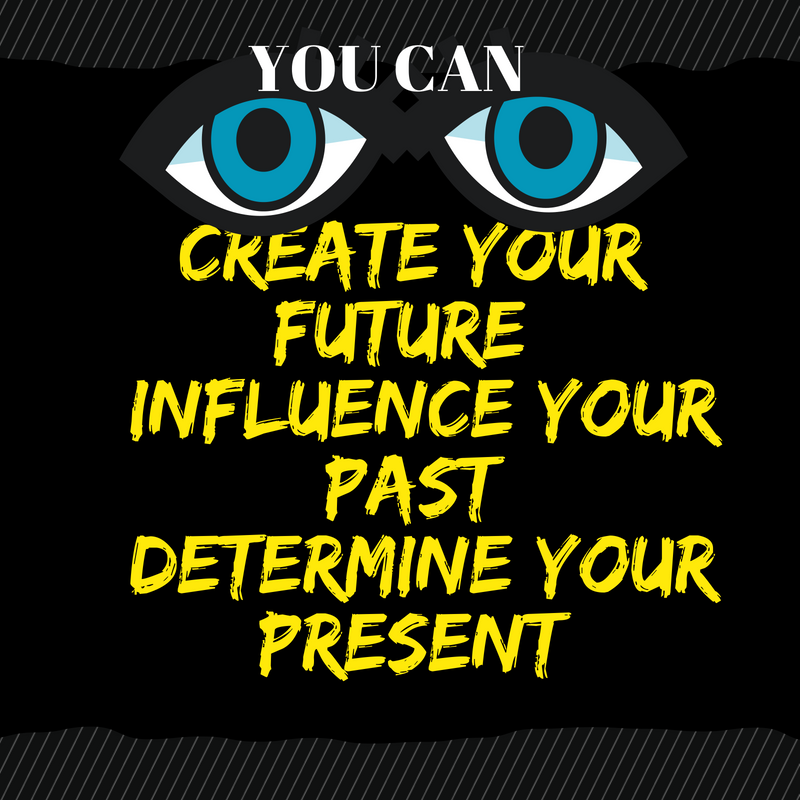 Influence your past to strengthen your identity. Ok, it's now and you are constantly making choices and decisions, some consciously and most unconsciously. Those few seconds before you make those everyday decisions, you are relying on how you see your past and your future. You are using all that knowledge to determine your present. Past, present, future are entwined. Respect that they are all parts of your hero story. 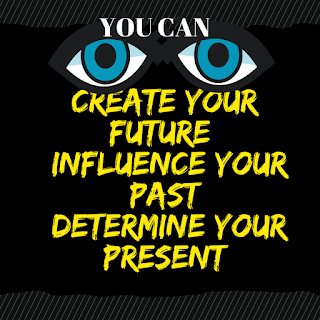 Be accountable for how You create your future, how You influence your past and how You determine your present.